So.... Been watching The Little Mermaid today (it's been a little drizzly, I did leave the house when I could I promise. 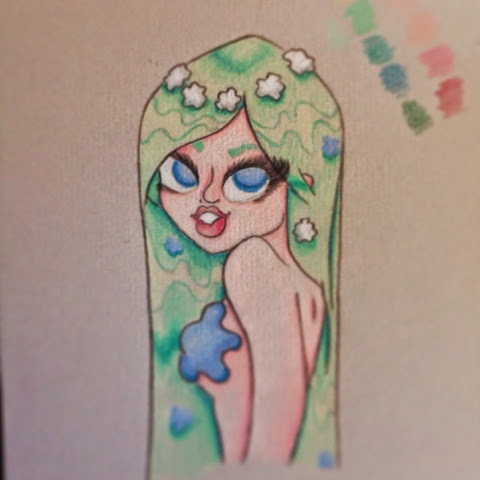 I thought I'd doodle some mermaid sand realised I was quite fond of them (found some metallic green fish scale leggings online that ism unfortunately and ashamidly tempted by!) 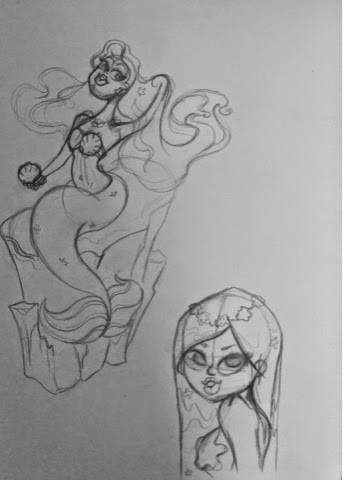 there are much more Brittney Lee or Mary Blair inspired than Arial. Think I shall do a couple more just because I like the colour freedom it allows. Also they're down right adorable!